Almost exactly one year after Beyoncé nearly broke the Internet by unexpectedly dropping her self-titled visual album, D’Angelo has managed to become a trending topic himself, except it’s not part of some flashy, big-machine, strategic move; he’s been working on it since the “Voodoo” tour ended (this according to his close friend and collaborator Questlove). And there couldn’t be a better time to release it. With “Black Messiah,” D’Angelo has made music with a message that’s as poignant and relevant as ever. While not all songs are politically conscious, enough of them are. At a listening session for the album in New York City on Sunday night, Questlove played the album on turntables for a select group of friends, record label execs, and press, among them music journalist Nelson George, who served as MC for the night, and director Spike Lee. From a vocal perspective, D’Angelo’s signature falsetto has remained intact, as has his appreciation for all things analog. Cool fact: “Black Messiah” was recorded straight to 2-inch tape, without plug-ins or digital trickery, giving the album its palpable warmth and texture. So much has happened since “Voodoo,” a definitive album when reflecting on the last two decades of music. Now there are new students of the genre (Miguel, Frank Ocean, to name a couple) branching out and doing things their way. But they all learned something from this guy, as he did from those before him. It’s an exceptional 12-track set and not in a flashy way. That’s just not D’Angelo’s style — even if he did make one of the most provocative videos of all time (watch “Untitled” here). Still, everything he does has an artful elegance and air of sophistication to it, and “Black Messiah” is no exception. 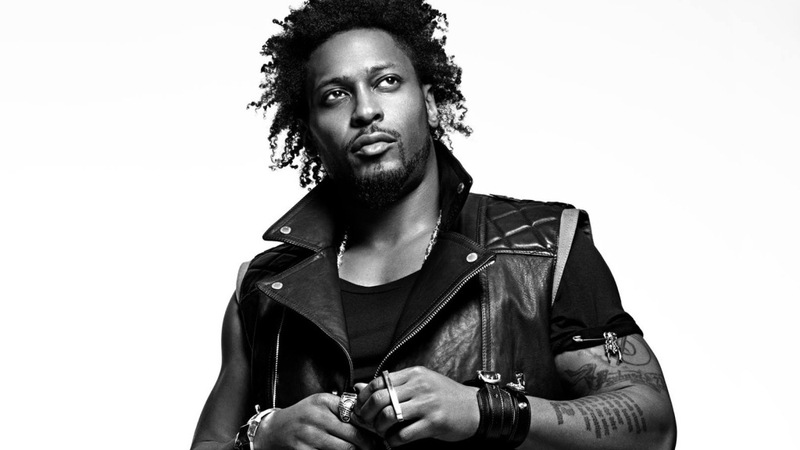 Instead of thirsting for the spotlight, D’Angelo lets his band, The Vanguard, shine here. “Ain’t That Easy,” the album’s opener, is a funkadelic groove that eases the listener into the next track, the fiery rocker “1000 Deaths,” which opens with a preacher rejecting the notion of Jesus as a “blonde-haired, blue-eyed, pale-skinned” figure, instead exalting a “black revolutionary messiah” with “hair like lamb’s wool.” The tracks builds to a splendid dissonance with heavy distortion, arguably the edgiest, coolest track D’Angelo has ever recorded. On “Really Love” — the album’s first official single — you can hear a flamenco guitar and a woman whispering sweet nothings in Spanish. Even in today’s overcrowded R&B space, it stands out as a gem. The album ends on a gentle note, with “Another Life.” “I just wanna take you with me, to secret rooms in the mansion of my mind,” he sings. And what a beautiful mind it is.